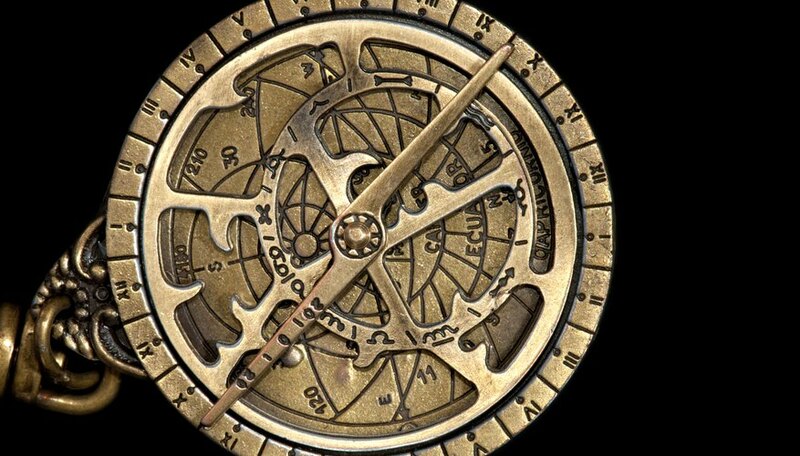 An astrolabe is a device that uses astral bodies like the sun and stars to either tell your position in latitude or tell the local time. It can also be used to measure celestial events like the wobble of the Earth’s axis. Pick up the astrolabe and aim the alidade towards the sun. The alidade is the part that moves on the outside of the astrolabe. Keep adjusting the alidade until a ray of sunlight shines through its sights onto the palm of your hand. Keep the device pointing at the sun and then read the altitude where it’s written in degrees on the side of the device. The point to read is where the rule crosses across the astrolabe. The rule is the moving part on the inside surface of the astrolabe. It may be easier to have someone else read the measurement so you can keep the device steady. Hold the astrolabe horizontally next. Turn the dial so that it moves past both the degree that you found and the current date. So, for example, if the current day is April 2 and the degree you read was 30, the dial called the “rete” should be lined up along this line. The number the rete points to along the outer rim will tell you the current time. The numbers go from 0 to 23 for the time instead of 1 to 12. So, for example, “15” is 3 p.m. Pick a star that you’re familiar with that’s visible when the sun first rises in the morning. Use the astrolabe to calculate how many degrees the sun is above the horizon when it’s at its highest point in the sky. Consult an astrolabe rules book. Using the book, start with the constellation that was present when the sun rose. This list of stars will be across the top of the table. Then cross-reference that with how many degrees the sun was above the horizon at its highest point. The cross-section between these two pieces of data on the table will give you the latitude where you’re currently standing. Pick an astrological event you want to study such as the tilt of the Earth. This is most easily measured through the sun. Use the astrolabe to measure the altitude of the sun, the same way you did when you where determining the time. Make sure to write down the time when every measurement was made. Write down the measurement and keep a running record of each measurement on a daily basis. It helps to make your measurement at the same time every day if possible. The measurements at different times of the year for the sun can show you how the Earth’s tilt affects our position. Be sure to never look directly at the sun while measuring its altitude. Sam Morgan has a master's degree in environmental science and policy. Morgan has been interested in science writing since childhood, and enjoys writing about anything relating to science since it's challenging and interesting to learn about our world. Morgan, Sam. 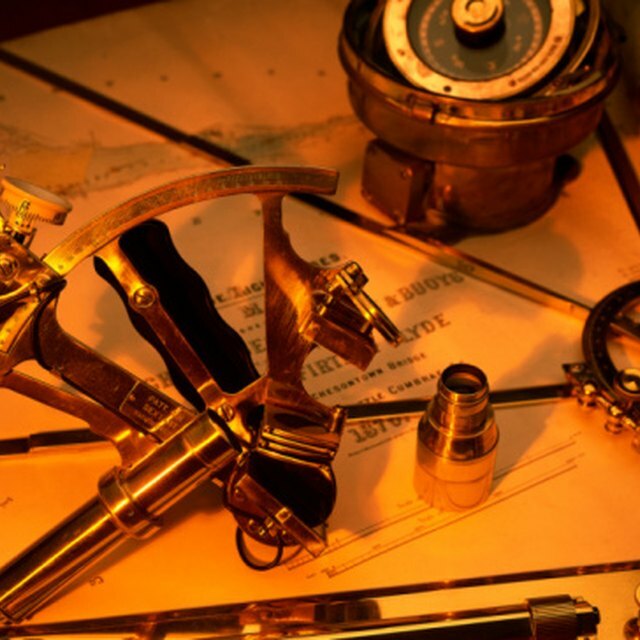 "How to Use an Astrolabe." Sciencing, https://sciencing.com/use-astrolabe-4495712.html. 24 April 2017.